Prominent & Leading Manufacturer from Bengaluru, we offer holographic induction wads and holographic wads. Our holographic induction sealing wads comes with various multiple security features along with customized designs. 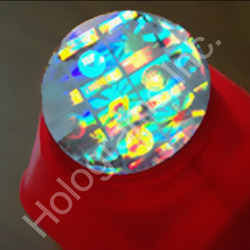 Our holographic wads are available in pocket friendly prices. Induction sealing wads with customized holographic image provides unique authentication along with security of the contents in the package for the consumer. Customized design with multiple security features can be offered. Wads can be supplied as per customer's requirement with holographic customized image incorporated. Looking for Induction Wads ?